HOMELife Uncategorized WorkoutsWhat is the Difference between Free Weights and Machines? 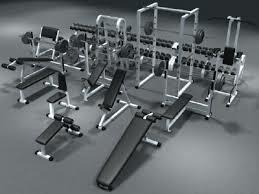 What is the Difference between Free Weights and Machines? Why free weights versus machines? Are they really THAT different? Yes…yes, they are! Last month I had the opportunity to share a little input into an article that Jerry Handley, owner of Viking Performance here in Morgantown, was writing for the Cheat Lake Life Above the Ordinary Magazine. Below is what was written and put into the magazine! You will be amazed how much different the two types of equipment can be! ” What if I told you that using free weights versus machines for strength training was actually better for your health!? Don’t get me wrong, machines are beneficial also, but in theory were designed to make exercise more convenient. With machines you have limited range of motion and many times only one muscle group being worked. Free weights deliver utilization of stabilizing muscles that are not used during machine work. 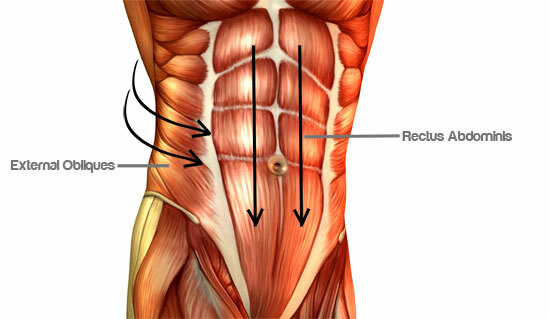 Trunk and core stability plays a huge role in working with free weights as well, even optimizing hormone levels more efficiently than machine workouts- since free weights are more compound movements you are engaging more than one muscle group at a time, as well as giving your skeleton a stronger signal to improve its own health. In return, you are engaging your nervous system in a way that your endocrine system responds to by using healing and growth factors. The importance of a strong, stable core for functionality cannot be overstated when in a conversation about greater health and human performance. When using a machine you are putting your body in a fixed position. As soon as you pick up a set of dumbbells or a barbell you know you have to hold your body in the correct position to move appropriately. With strength, comes stability, and with stability also comes better balance. I have mentioned that multiple muscles are being worked while using dumbbells or barbells, but did you know because of this you are actually helping yourself to live longer? When putting the focus on more than one muscle group at a time they become a unit working together. Our bodies become more responsive to any kind of weight bearing task. Our bones become stronger and we have a smaller chance for life-shortening chronic diseases. Also, maintaining this muscle keeps our bodies young or can even make them seem younger again. Metabolism is another bonus in free weight training. Any kind of strength training helps to boost metabolism. This is because we are using greater force and burning more calories. When combining multiple muscle groups at once, force produced is even greater causing more work to be done, resulting in a quicker metabolism. Even in consideration of the above factors, our biggest priority in training is going to be to improve daily life. Free weights, unlike machines, depict real life movements. We push barbells overhead to mimic putting away Holiday decorations in the attic… We lift barbells from the floor so we can pick up those heavy boxes. It is all functional training. One Comment to "What is the Difference between Free Weights and Machines?"